Make Christmas wrapping easy with The Sticker Site. The worst bit of the wrapping for me... writing out the labels! Its essential all the presents are labelled so the kids know who's is who under the tree on Christmas morning but I hate it! I get wrist ache and spend aged trying to write in a funky font so the kids don't recognise my hand writing (James is getting older now and really notices these things!). But not this year! This year I am going to be more organised (I already have some presents all wrapped up in the loft!) and a big part of that has been with a little help from The Sticker Site. The Sticker Site is a fantastic website selling, well stickers! But for all occasions including baby months stickers, make your own (for all occasions) where you can add your own images and text. But the thing that caught my eye was the Christmas shop! Here I found a huge array of Christmas labels and stickers from name labels for gifts to countdown stickers perfect for things like book advents. You will even find fundraising packs at a great price too. Selecting and personalising my stickers couldn't have been easier, I simply chose the design I wanted from the huge selection available and then wrote my message in the indicated box (top text and bottom text). It gave me a preview so I could check everything was correct and then I simply entered my details and they arrived at my door a few days later in perfect condition, even better than I had imagined. The stickers are priced at £2.50 yes that's right just £2.50 for 24 stickers! Which I think is an absolute bargain. The stickers are a great size, really bright, colourful and high gloss. The names and text on every sticker were perfect with no smudging or blurring in sight. They peel away from the sheet really easily too. Honestly I can't tell you how much easier and quicker this made wrapping for me this year. I can't believe I haven't found this site before this Christmas but I definitely won't be looking back now. 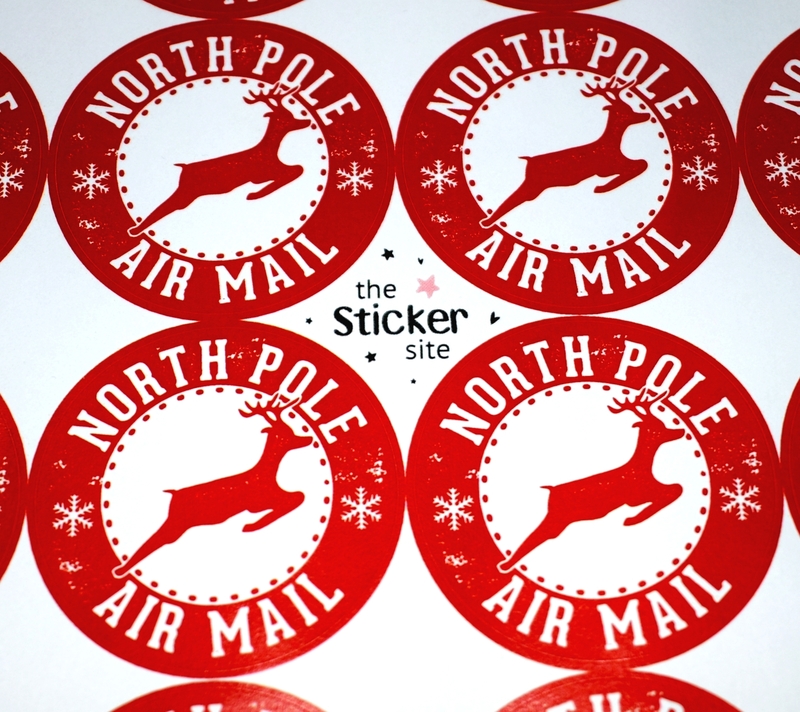 The stickers will be the first thing I order when I start thinking about my Christmas shopping every year! 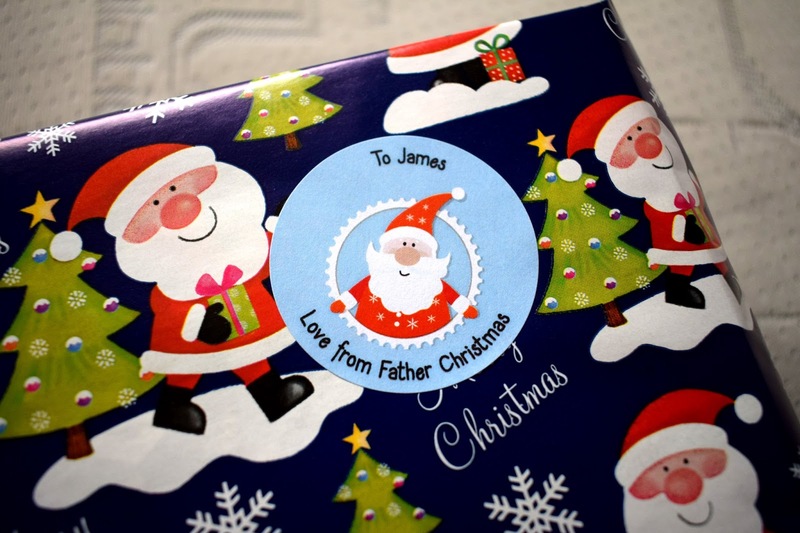 It has saved me the stress and worry of writing so many gift labels and they look much cuter anyway, like they are straight out of Father Christmas's elf factory. 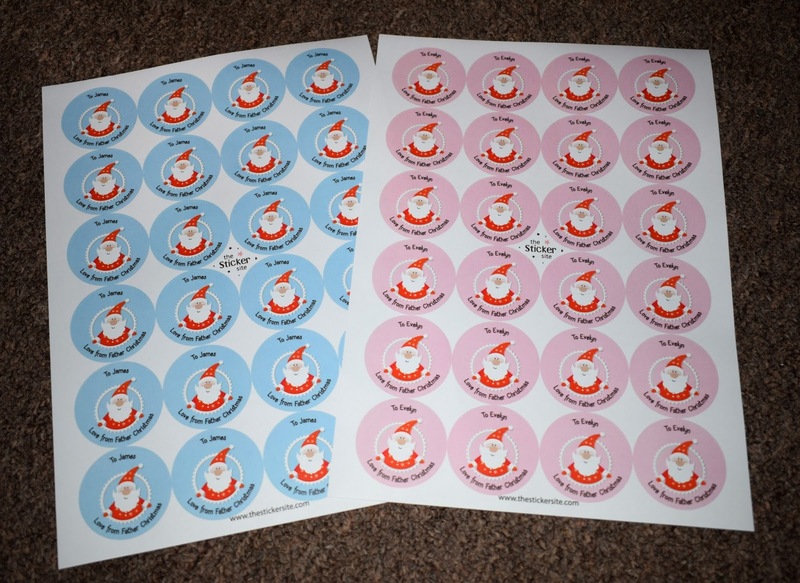 If you want to order your own labels or take a look at the full range you can check them out here - www.thestickersite.com. Do you have any top tips when it comes to wrapping up presents this Christmas? Oh I LOVE these stickers! 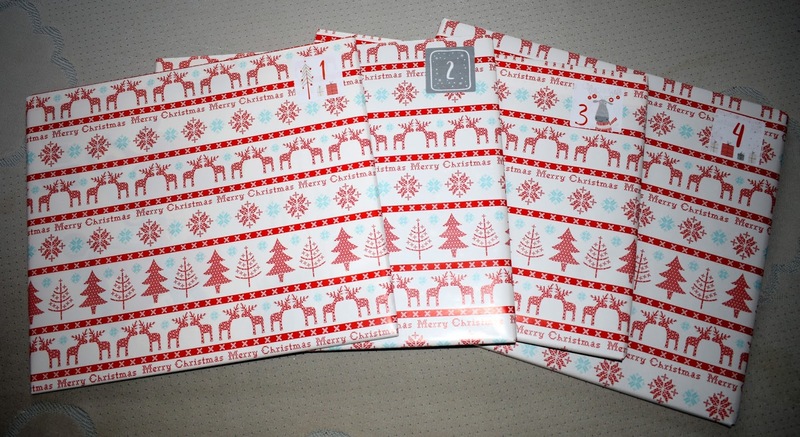 With four children I tend to colour code their presents but stickers would be so easy to label them all! These looka great time saving tip, thanks for sharing! These are fantastic! I always end up forgetting tags and scrawling their names on the paper keeping everything crossed I don't tear it! These stickers look great! Anything to make the dull process of wrapping more fun sounds great to me!